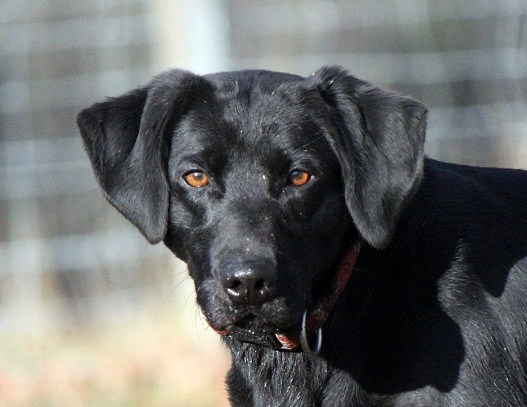 Jet was born at Faster Gun Labs from a litter sired by our now retired stud dog Ace. She is also out of the same dam (Lee) as our wonderfully talented Verona. When we found out she was available we jumped at the chance to bring her home. She is proving to have a wonderful disposition- friendly, outgoing, and confident, with a keen sense of humor. She is a tiny little creature and an exceptional athlete like her half-siblings, with nice working structure. Before we got her, Jet had been earmarked as a future police detection dog and passed her assessment with flying colors; however it turned out that the RCMP didn’t have any openings for new dogs at that time and her breeders opted not to hold her any longer if there was a suitable home available -and there was (us!) Jet’s one true love in life is retrieving. She will do anything for the promise of a game of fetch as a reward, and she is often found carrying her prized toys around in the hopes of instigating a game. She is a very bright, drivey, energetic, and motivated little dog and she has has started training in dock diving, and nosework- she earned her first nosework title this November. However, her primary ‘job’ at Eromit Acres is hiking buddy and she is great at providing an extra set of senses for wildlife. Jet’s puppies are very energetic and trainable and suitable for high level competition in a variety of venues. They also make good pets for very active families. 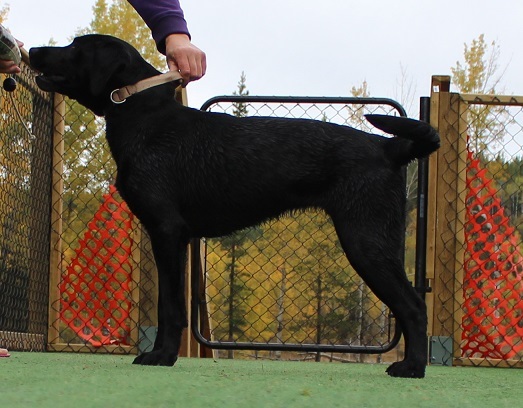 Puppies from Jet’s first litters are excelling in agility, flyball, dock diving, tracking, obedience, nosework and SAR training and as hunting dogs. We kept ‘Mezzy” from Jet’s second litter who is one of the most intuitive and trainable dogs we’ve ever raised. We also coown ‘Ezra’ from Jet’s 3rd litter, and are receiving very positive reports about her too!